I bought the first Origins product when I was leaving Singapore for Bali couple of weeks ago. I bought it because I wanted to find an easy to use product (without cotton pads) that will help remove sunscreen on my face. 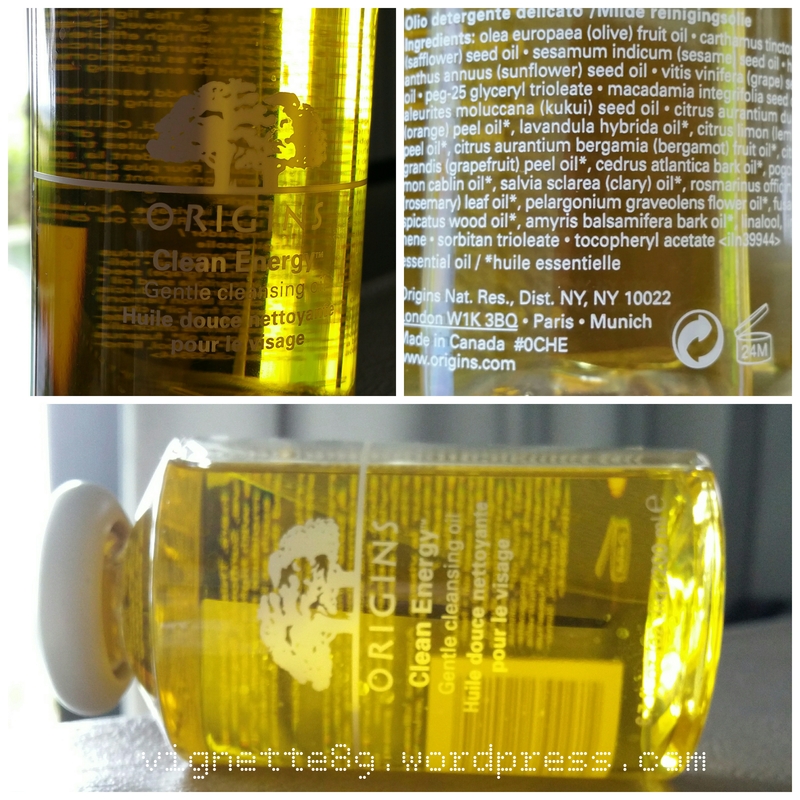 I was hoping to grab something more natural and it is when I came upon Origins Clean Energy Gentle Cleansing Oil. I bought mine at Duty Free Shop at the Singapore Changi Airport and it retails for about SGD35. You can purchase this item from the Origins counter in your home country of course. Origins USA website retails it for USD29, but I found it slightly cheaper on Beauty.Com selling for USD26. Have you tried this Cleansing Oil before? What do you think of it? I am so excited that many of you out there have been reading up on my blog post for Label Young product. I wish to thank you all for the support and it is your support that encouraged me to go on to try its other Label Young products – which by far, is one of the most economical (and paraben free) skincare product that I’ve used yet does not give me outbreaks or other skin care problems. Alright, I won’t keep the suspense any longer. I present to you my review on the Label Young Panku Skin & Lotion, also known as 2 in 1 Special Pore Care (Shocking Skin and Lotion)! This product claims to be an all-in-one product that “Soothes skin gently and provide rich moisture and nutrition.” It aims to “treat pores from inner skin without the use of ethanol”. The “rich moisture and nutrition refreshes the skin by providing it with a glow” and it “controls oil from the sebum and shields the skin from impurities and dust. Its moisture shield also enables better moisture absorption. 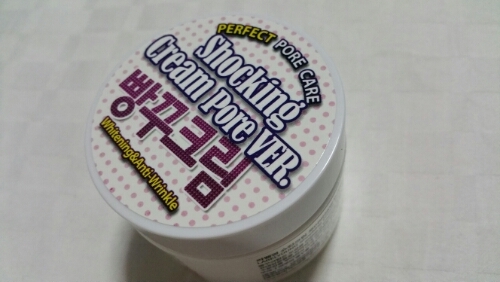 (Disclaimer: the above description is paraphrased from Koreandepart website where product description could have been translated directly from its original korean description) Now, we need to be clear that the word “tighten” is relative and depends on the size condition of one’s pores and yes, this product’s key ingredients are “bentonite (containing more than 60 kinds of natural minerals), kaolin, ECOCERT organic ingredients, blueberry extract, lemon extract and lime”. The koreandepart website wrote that this product does not contain the following additives, namely: Parabens, ethanol, mineral oil, triclosan, phenoxyethanol, benzyl alcohol, artificial colours, triethanolamine, petrolatum, imidazolidinyl urea. This product has a very soft and somewhat flora / citrus scent (oh, and I so love it), and is dispensed in the form of emulsion (i.e. slightly dense white milk in a simple bottle – see picture on the right). My feedback for Label Young is perhaps, a squeezable bottle can be used because it is indeed quite challenging to get the product out given its texture. A pump could also have done the job. I have been using this product for about 2 weeks now. I didn’t break out after using it and I find the scent rather refreshing and welcoming. I have combination skin which is oily under the skin and dry on the surface. After using this product for the period, the oil does seem to surface later and lesser then it normally would but it won’t be as effective if you are having one of those days where your face just produce a lot of oil due to hormones etc. After washing my face, I will use just a 10cent size (about 10mm in diameter for a dollup) and warm it in my palm before applying / spreading with both hands on my face. I will try to pat lightly using the warm palms to help with absorption into my skin. This is only if I am going to be out and about in the humid tropical weather. When I am at work (air-conditioned) or at night, I will layer on (thinly) the Panku Gel Cream on my face to increase the hydration. Note: I did not need to apply additional toner before I use this Lotion. After using the the product, I feel that my skin (esp on my cheeks) are very smooth. I did have some whiteheads popping out since I’ve started using it (this could be due to hydration that plumps up the inner walls of the pores and forces the loose whiteheads out). I can’t really attest much about the pore size as my large pores have been there for a long time. 1) Qoo10 – search for “label young” and the website should cough up a few vendors that carry the brand. 2) Koreadepart – Oh yes, this is a good place to get your label young products. They do have discounts from time to time and I recently bought some of the other label young products at below USD10 each. However, do not that international shipping is only free if you chock up USD200 worth of purchases. This site does carry a lot of other popular Korean brands, so plan your purchases! So are you ready to share with me your experiences with the Label Young products?